Big delays for Westworld are nothing new, as it has only managed to air 20 episodes since October of 2016, but at least it’s adding some fun new actors (Aaron Paul! Lena Waithe!) in the downtime. 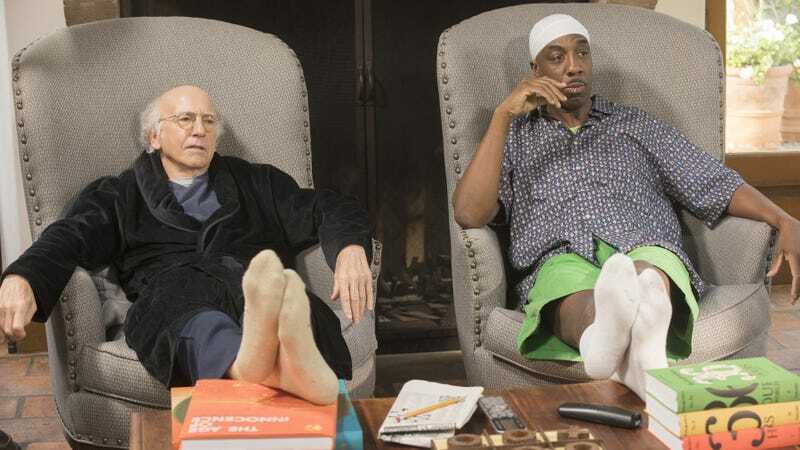 Curb Your Enthusiasm, meanwhile, is always produced on Larry David’s schedule anyway, so even though Collider believes that production started in October, HBO doesn’t expect to have new episodes ready any time soon—especially since Larry David has probably stumbled into countless wacky misunderstandings in the past five months. As for Insecure, Collider doesn’t know why it’s being held until next year, but Issa Rae does have a lot of stuff going on. Of course, HBO does have Big Little Lies and Damon Lindelof’s crazy Watchmen thing coming this year, so it won’t become a TV wasteland overnight, but there are a lot of hopes riding on those two shows for the rest of the year now.